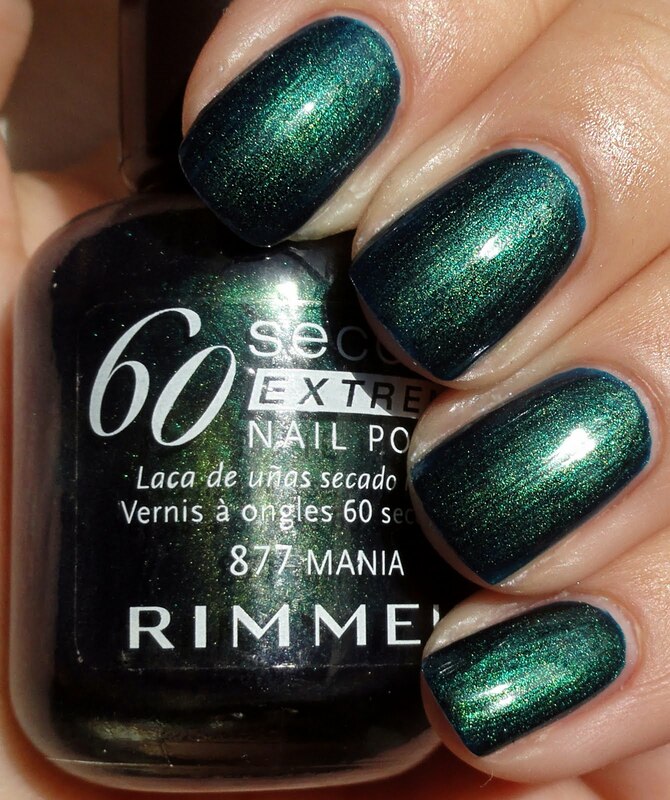 This is Rimmel Mania, an oldie but a goodie. I la la love colors like this, oozing with yummy color and glazed with shimmer. 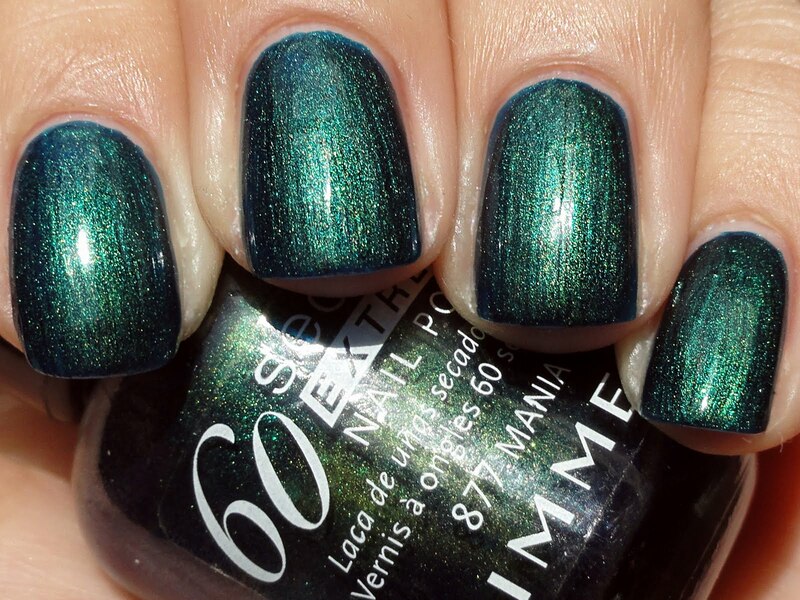 I'd call this a deep marine teal with a deep blue base and interwoven subtle golden shimmer. It reminds me of a peacock *sigh* a symbol of beauty for the animal kingdom. We need more polishes like this!! I got this baby in a swap with a lovely gal on MakeUpAlley. The formula was perfect, two coats.